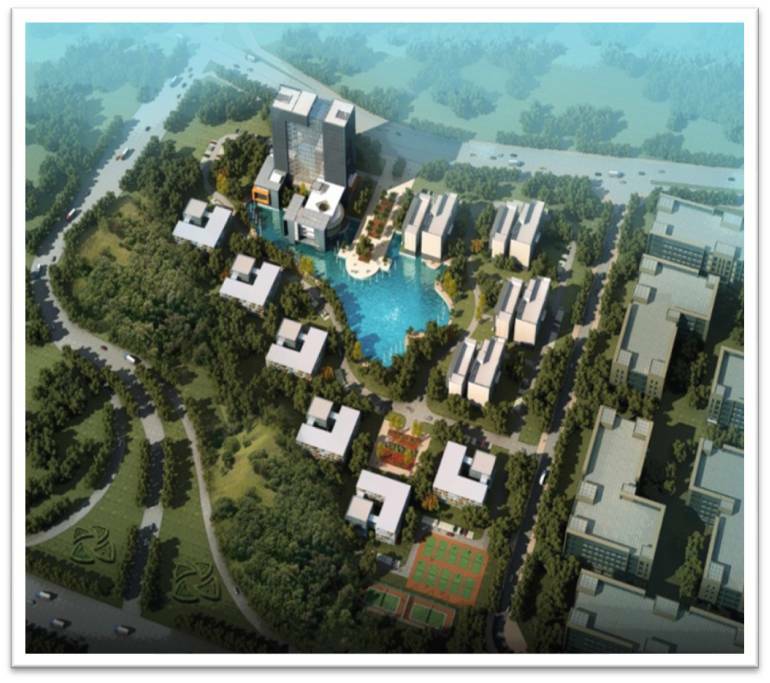 Invested and constructed by Dongguan City Biotech Industry Development Co., Ltd., the Biotech Tower in the Cross-Straits Biotech Industry Cooperation Base will feature 11 individual buildings. With 1 over 100-meter landmark main building and 10 wing buildings with 4 to 6 storeys, the Biotech Tower will have a gross floor area of 167,000 square meters under an estimated aggregate investment of RMB 1.3 billion. Integrating R&D, transformation, trading and service, the Biotech Tower will provide public service, R&D and headquarters operation spaces for biotech enterprises and related intermediary service institutions.